President Mohamed Nasheed, subject of must see documentary film about the Maldives. Radiohead’s haunting song "How To Disappear Completely" is the perfect backdrop for the ending of "The Island President", a film about the first democratically elected president of the Maldives, President Mohamed Nasheed. The song is especially apropos given Nasheed was driven from office in February by forces loyal to the former dictator who would prefer literally to see Nasheed disappear completely. Social Unrest in the Maldives leads to the election of its first democratically elected President, Mohamed Nasheed. Photo Courtesy "The Island President". Radiohead music is woven throughout this beautifully shot documentary thriller which captures the exquisite Maldive paradise and the disturbing political and environmental turmoil that engulfs this nation. The first thing you learn when watching "The Island President", a watershed film about the Indian ocean archipelago country, is that the first "Arab" spring did not occur in Tunisia in 2010, or anywhere in the Middle East. It began in this majority Sunni Muslim country in 2008. 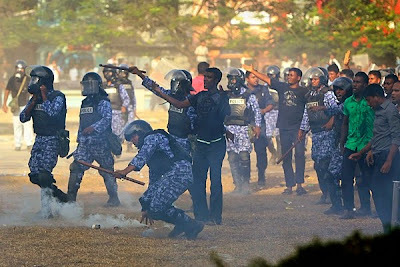 The onset of the Maldives Spring began with the 2003 death of a young man beaten to death by the security forces of the brutal dictator, Mamoon Abdul Gayoom. His hideous death incited social unrest which culminated in the eventual election of Nasheed who was swept to power in a bloodless revolution of the people in 2008. Serendipitously, just as Nasheed became the first democratically elected President of his country, he was contacted by passionate filmmaker, Jon Shenk, who asked Nasheed if they could make a documentary about him and the change sweeping through the Maldives. The multilayered film, born of this incredible story, is a poetic, year-long portrait of the mesmerizing Nasheed who is to some extent a “Mandela of the Maldives". Like his South African counterpart, Nasheed was tortured and imprisoned on and off over a period of many years. South of India, the approximate 1200 Maldive Islands with a land area of only 115 square miles are spread out over 34,749 square miles of ocean. Some of the islands are at sea level and the highest point in the entire Nation is a mere 7.87 feet above sea level. Gayoom ruled with an iron fist for 30 years. In autocratic fashion, while ignoring freedoms for his own people, Gayoom refused to acknowledge that the country was being lost to the sea, much like the Kiribati Islands, because of rising sea levels due to global warming. Optimistically, things started to change for the better in 2008 when the environmentally aware, charismatic Mohammed Nasheed, who had been a leading advocate for democracy in his country, won the Presidency. 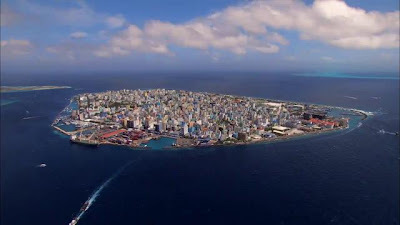 Picture of Male, The Capital of The Maldives. Photo Courtesy "The Island President". 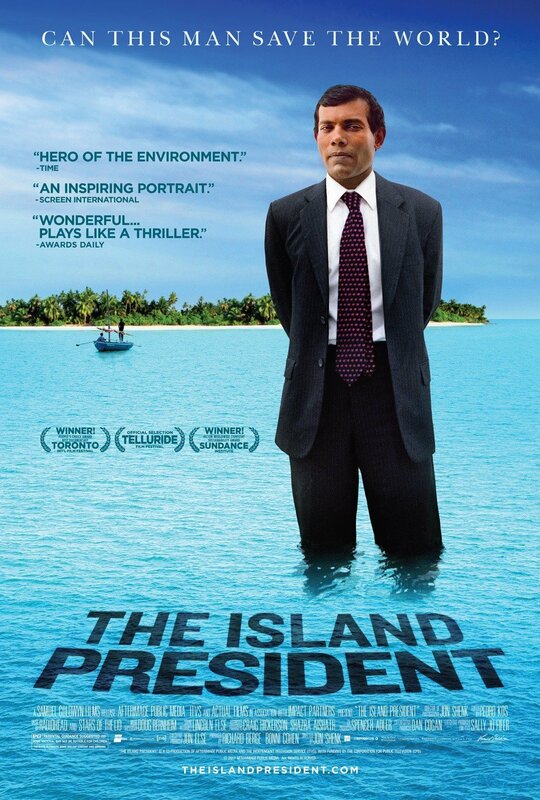 "The Island President" is a film about both the attempted democratization of the Maldives and the efforts by President Nasheed to wake up his countrymen and the world to the serious threat of global warming. He knew, after decades of struggling for freedom and truth, that the danger of global warming and sea levels rising was equal and parallel to the threat of dictatorship in his country. The dire consequences to suppressing the people of Maldives and the truth about climate change are exemplified by a quiet yet powerful image in the film of an excruciatingly small, windowless prison shack sitting at the edge of the rising ocean that housed Nasheed during endless days of solitary confinement. 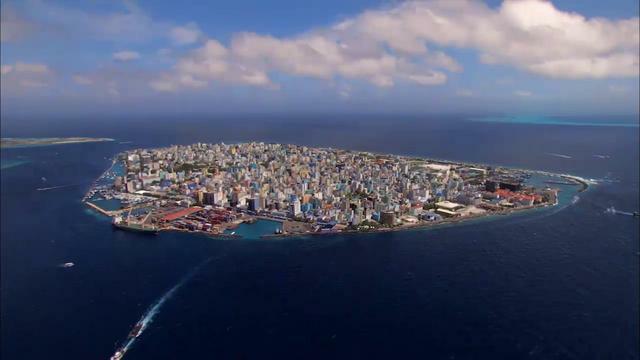 Recognizing the imminent peril facing his nation, Nasheed pledged to make the Maldives the first country in the world to be carbon neutral by moving toward 100% renewable energy within a decade's time. Jon Shenk and his film crew, almost invisibly, follow and capture the poised, passionate Nasheed as he attempts to lead the Maldives into democracy and a clean energy world. 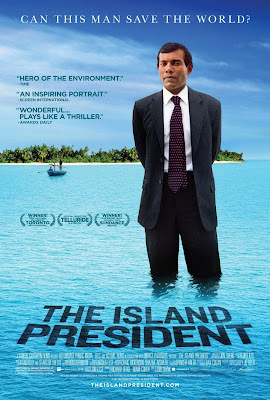 The movie culminates dramatically with Nasheed attending the 2009 UN Climate Change Conference in Copenhagen where he successfully inspires a group of divisive nations to agree for the first time to work together to reduce carbon emissions and battle climate change. 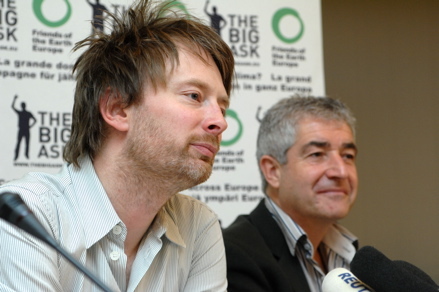 Thom Yorke from Radiohead (left) in Copenhagen at the UN Climate Change Conference 2009. Photo via TreeHugger and Alex Pasternack. It's fitting that Radiohead provided much of the soundtrack as the band has been at the forefront of environmental advocacy. Thom Yorke, the front man for Radiohead, even attended the 2009 Copenhagen Climate Summit where, presumably, he first heard about Nasheed. Nasheed made a huge impact on the conference with his impassioned plea to world leaders to stop politicking and get down to the business of cooperating to reduce carbon emissions. Everyone , especially those living on the coast or low lying islands, needs to see this film and wake up to the reality that sea levels are rising everywhere and whole swaths of land, ways of life and cultures could disappear. Surging Seas is an interactive map where people in the United States can see threats from sea level rise and storm surge to the 3,000 plus coastal towns, cities and states across America. 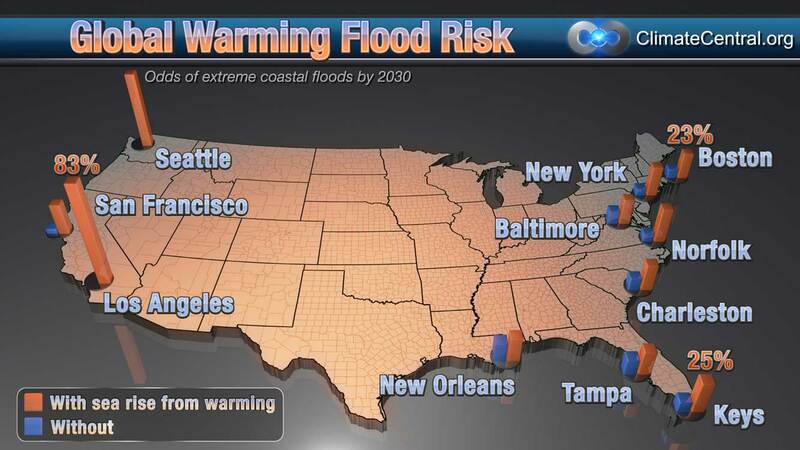 New Study By Climate Central shows predicted threats to coastal areas in near future because of rising sea levels. 350.0rg has a petition to send messages of support to President Nasheed and the U.S. State Department to help this country and its democratic leader. Saving The Maldives is Saving Ourselves. Let's join together with Radiohead, 350.0rg, Jon Shenk and others to help now former President Mohamed Nasheed and the Maldives on "How Not To Disappear Completely". Click here for more info about The Island President and where to see it. Watch exclusive video below of filmmaker Jon Shenk talking about President Nasheed and the extraordinary film "The Island President".